The main aim of the LoG-IN project was to turn the participating local governments into “stronger players” in the field of local economy by providing them with innovative tools and strategies in order to allow them to enhance e-government services to business and enable more effective planning of business support and regeneration. Therefore the primary aims were to improve the information exchange between local governments and intermediate/regional governments (G2G) and between local governments and local enterprises (G2B). The LoG-IN project offered several unique results both in the domain of models, methodologies and e-service pilots. The transnational co-operation led to the transfer and implementation of good practices; and to 20 national and international seminars on e-services. The key project result is demonstrated by a transnational initiative, the Generic Information Infrastructure (GII). The LoG-IN GII, now communicated as govmaps.eu, proved the feasibility of a model where 35 local governments from 3 different countries successfully can build and share one common ICT system and use it to build geodata driven online services. The transnational dimension of the GII and its size also resulted in the fact that local authorities now could work with international consortia and major ICT companies which normally do not work for local authorities. For the Generic Information Infrastructure the project received a Special Achievement in GIS Award 2007 (San Diego USA). 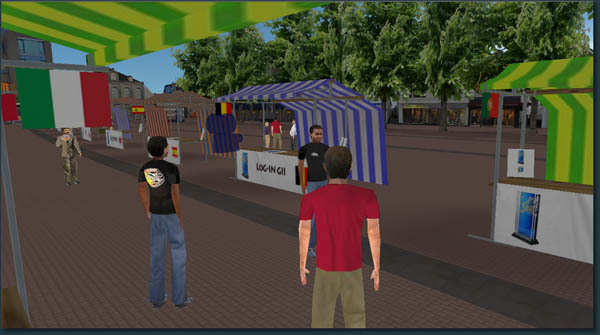 As one example the Avelgem RFID self-service library, which led to a fundamental rethinking of the municipal front-office, set a new standard of service-delivery of local libraries in Flanders. 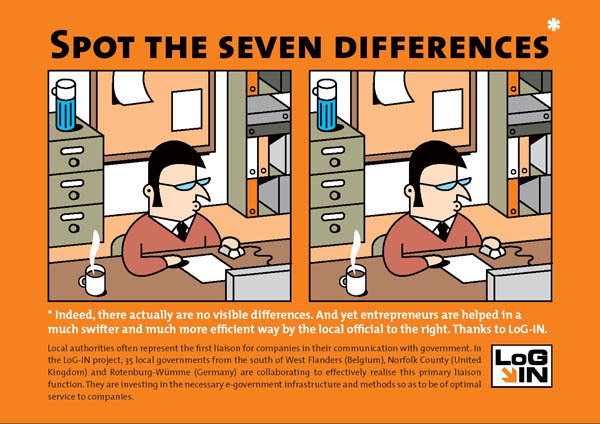 The Province of West-Flanders set up a subsidy programme in 2007 to support the 64 local authorities that want to copy the LoG-IN solution. 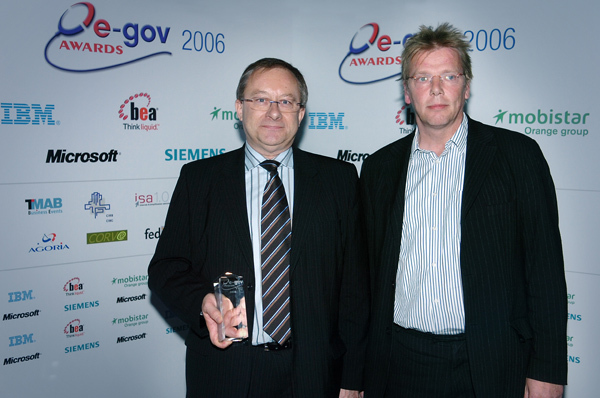 The pilot received the Belgium National eGovernment Award for Citizen Services 2006 and the Belgian eChampion Award 2006. The project triggered substantial investments in all regions amongst others in broadband infrastructure such as the fibre optic network in Rotenburg (DE) where an initial infrastructure investment combined with a new generation of e-services led to a political decision to make a region-wide infrastructure investment. The results carried out by LoG-IN led to a better information exchange and co-operation between government levels and as result of this to better and more information-rich services from local governments to business and citizens. The innovative pilot projects and transnational co-operation have contributed towards making local authorities stronger in the domain of electronic service delivery. The long term effect of LoG-IN can therefore be described as an increased capacity and confidence of local authorities delivering better services to other governments, business and citizens. Within local governments the project led to an increased awareness of the advantages of the use of ICT in their processes and a strengthening of local cross-sector networks. The dissemination of good practises not only led to a strong visibility of the solutions but also influenced political thinking and better understanding of service models, processes and technology. As one example the LoG-IN Avelgem self-service library received visits from political delegations from Spain, Portugal, Slovenia, Czech Republic, UK, Norway, Germany, Hungary, Romania, and Estonia. This formed a unique opportunity to communicate the LoG-IN project and its results. Demonstrating its success story the project received seven national, European and international awards and nominations, next to the above mentioned for instance on European level the Finalist European eGovernment Award 2007 (European Commission) for the Generic Information Infrastructure.